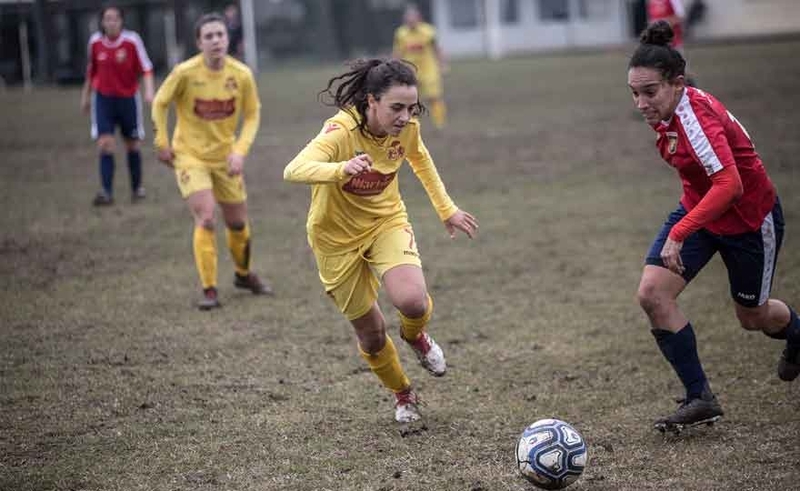 Great victory for Ravenna Women FC this afternoon at San Zaccaria in the Easter anticipation played at the "Soprani" with the Fortitudo Mozzecane. First time with the guests who hold the ball of the game and touch the goal of the advantage with a punishment by the captain Peretti, a sharper occasion than the first forty-five minutes. At the second half Ravenna with a self-esteem shot overturns the situation and, also thanks to a bad day of the goalkeeper, first unlocks the race with Cimatti and ends up realizing the definitive 3 at 0 which is worth three key points to pursue the dream promotion. First time full of emotions between the third and fourth strength of this championship. 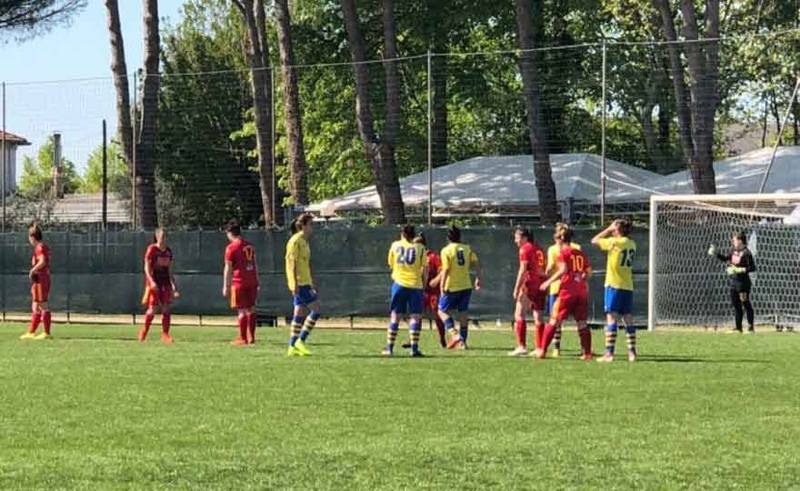 Bragantini's Gialloblù suffer the aggressiveness of the hosts in the first minutes of the match and risk the 5 ', when Montecucco from advantageous position shoots to the side of the door defended by Olivieri. Fortitudo starts to carburetor and finds interesting combinations with its offensive players. Already after the first twenty minutes the teams are long and the match is very intense from the athletic point of view. For the third to the last day, the synthetic X Roma XIV comes down to Cesena on the synthetic of the Rognoni Sports Center (Villa Silvia). The departure of the hosts suggests that the guests will be 90 minutes of suffering. The first occasion happens to Battistini at the 3 'minute, Petralia assists for Battistini sure hits good Quartullo who deviates in the corner. Beats the same Battistini veil of Porcarelli missile of Pastore flies Quartullo and rejects. 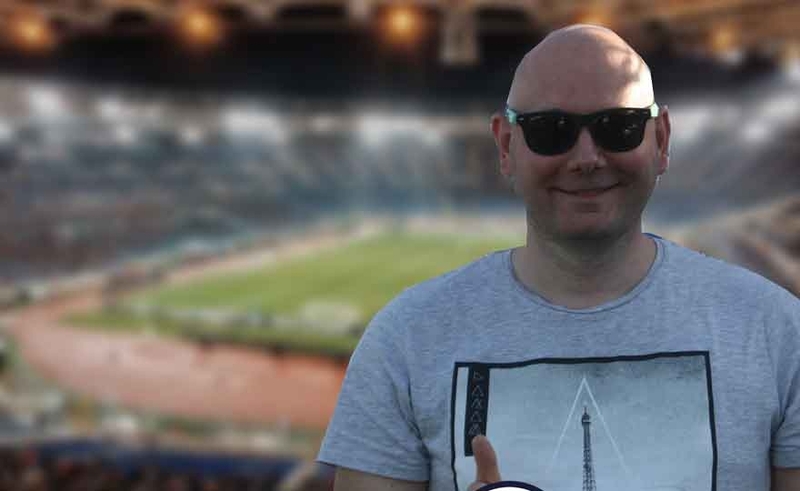 The news of the day is that for the first time this season, the invincible Inter army does not have full booty: the Nerazzurri of coach De La Fuente impacts against a Lazio host in his second consecutive draw. Advantage neroazzurro with the increasingly solitary top scorer Marinelli, equal to Coletta for the biancocelesti, the new advantage of the guests (1-2), for the definitive equal of Coletta (2-2). Third last turn in cadet that anticipates the Easter Saturday, with challenges of great charm and interest both in the upper floors and in the slums. But let's start as always with the super leaders of the Inter that tomorrow will be on the field of Lazio already settled in the first leg (3-0): the neroazurre, winners in the last round with Roma (5-2), want to keep winning for entering the record books with only victories, the aquilotte, at 23 points and not yet arithmetically hello, are returning from the good external peer against the Mozzecane (0-0). 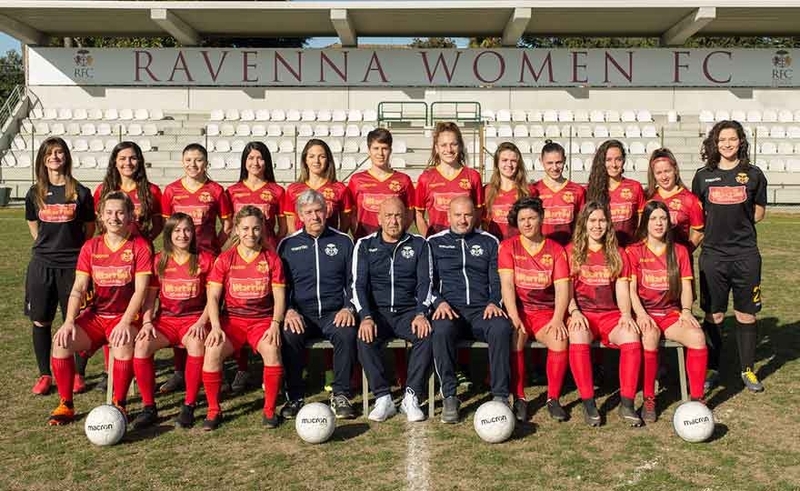 The penultimate home match of Ravenna Women FC of the 2018 / 2019 season coincides with a high-ranking big match: at "Soprani" on Saturday 20 April, the team of Mr. Piras hosts the Venetian of Fortitudo Mozzecane for a fight that will challenge each other the third and the fourth in the standings. 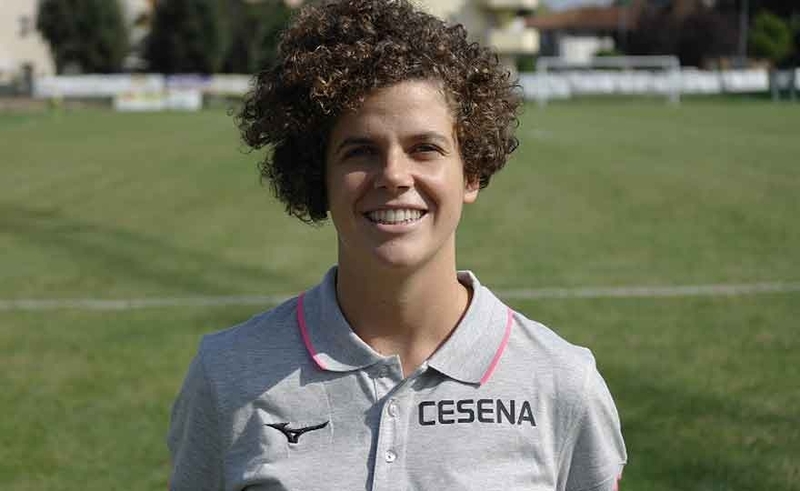 Fortitudo Mozzecane, Chiara Groff: "with the Ravenna tender revenge"
Chiara Groff, the new defensive column of Fortitudo, took her first place in her first season and went on to further strengthen the Gialloblù rearguard. Read more: Fortitudo Mozzecane, Chiara Groff: "with the Ravenna tender revenge"
Three consecutive victories in the three challenges against the three Roman teams. 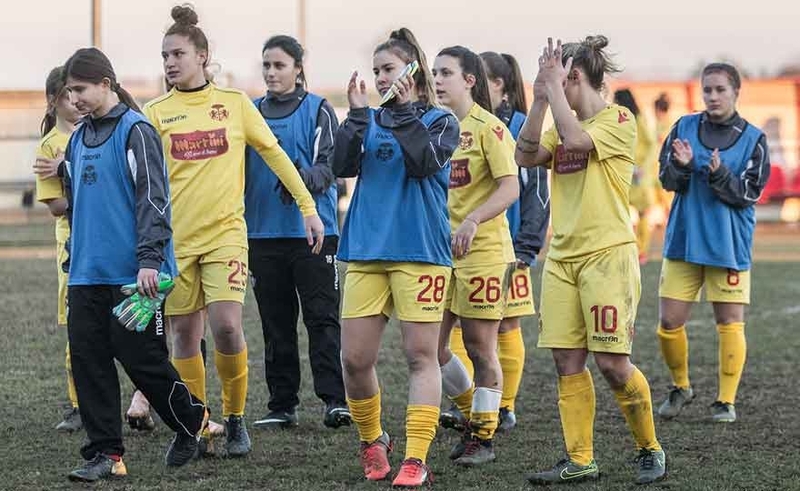 After beating Roma Femminile and Lazio Women, Ravenna Women FC won their twelfth win of the season in Roma XIV, taking home three more important points for the promotion race. In the big-match of the day between Inter and Roma, the neroazzurre dominate the Giallorossi's furies with a "manita" (5-2 the final), with the usual Marinelli (double and 23 ° marking), Costi, Rognoni and D'Adda; for the eleven of Colantuoni Barbieri and Polverino are not enough. 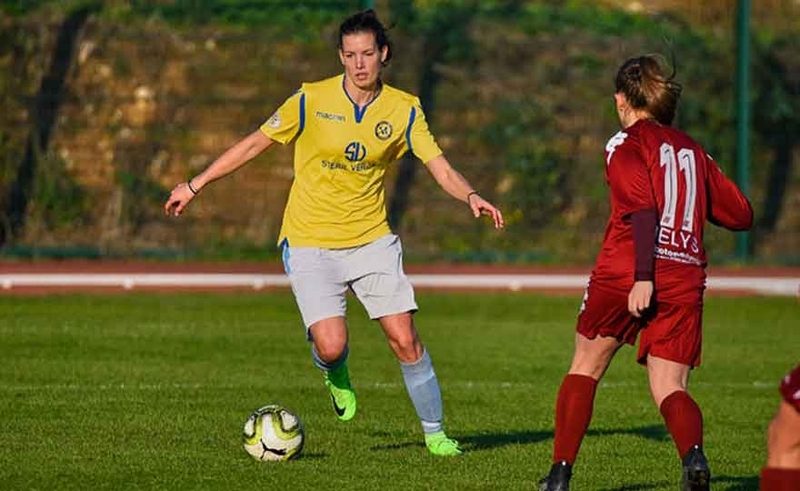 After the umpteenth day of Stop the women's Serie B returns and does so with several key matches, as far as the salvation zone is concerned. 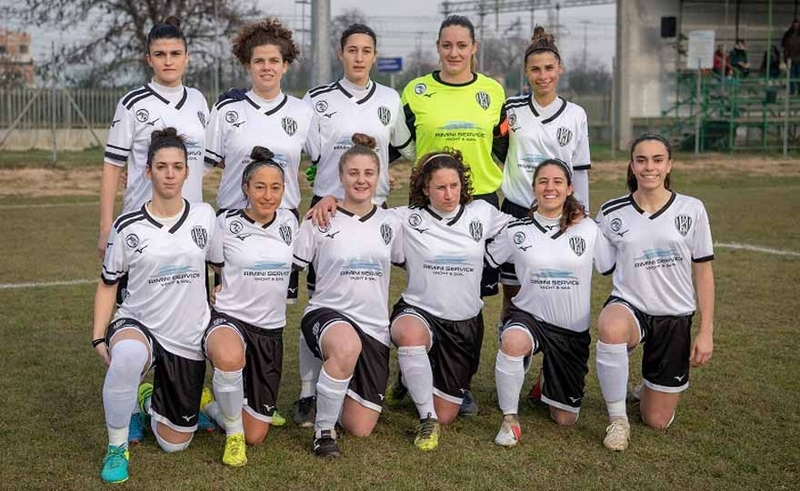 It starts with the match in Liguria, between Genoa Women and Cesena. For the Romagnolese, the goal is to win, to bring Milan and Lazio closer and to keep the distance from Genoa and from the penultimate Arezzo.